The largest group of solar panels has been installed in the coalfield state of West Virginia, U.S. The 1671 solar panels will have the capacity to supply up to 407-kilowatts; around half the power required for the American Public University System (APUS) financial center plus 15 charging units for electric and hybrid vehicles. APUS in an online provider of higher education for public service groups and the military. The array, a systematic arrangement in rows and columns of solar panels, was manufactured by SolarWorld, America's leading maker of solar products, and was designed and installed by Mountain View Solar (MTVSolar), which is based in Berkeley Springs in West Virginia. The array has been installed on a carport at the APUS complex at Charles Town. Congresswoman Shelley Moore Capito, company chiefs and local municipal officials attended celebrations to mark the completion of the installation. MTVSolar, President, Mike McKechnie, says, "Through this project, APUS sets a powerful example of institutional sustainability for its more than 100,000 students and for the community here in West Virginia. This installation is an example of what education and renewable energy have in common - both are critical investments in our future." The state of West Virginia has strong history of coal mining - in 2009 coal was produced in 51 different coal seams - but now renewable energy projects are bringing in green jobs as well as clean energy. SolarWorld panels have been installed by MTVSolar at Berkeley Springs' Morgan County Courthouse in 2011, in its high school, the first in the state to equip solar power and at a large wastewater plant at Hurricane. It also worked with Appalachian renewable energy charity The JOBS Project to install solar panels on top of a building in a downtown area of Williamson, a city dubbed the "heart of the billion dollar coalfield." It also provided training in installation. SolarWorld is a global leader in top-quality crystalline silicon solar-powered products. It manages all stages of production, from gathering raw silicon up to creating large solar powered systems like the one at Charles Town. The company employs around 3,300 staff worldwide and its group headquarters is in Bonn, Germany. Mountain View Solar's main office is in Berkeley Springs. It aims to bring local energy to the local community, using American-made products, where that is possible. 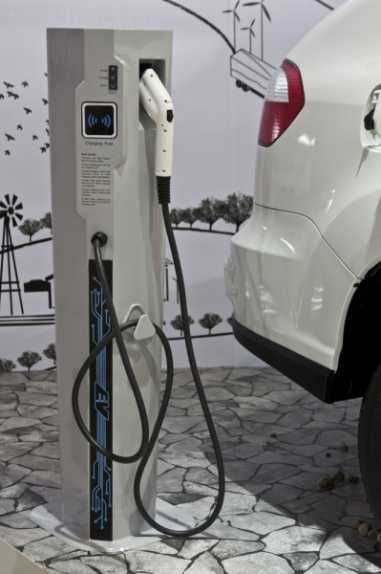 It is the area's largest installer of electric car-charging stations.